Experienced Vegetarians and Vegans know that getting a balanced amount of Omega-3 in their diets takes some planning. A great option is to supplement with Omega-3 rich foods, which are largely animal-based; Jedwards carries potent vegetarian alternatives. Jedwards International is a wholesale supplier of Perilla Seed Oil and Chia Seed Oil. 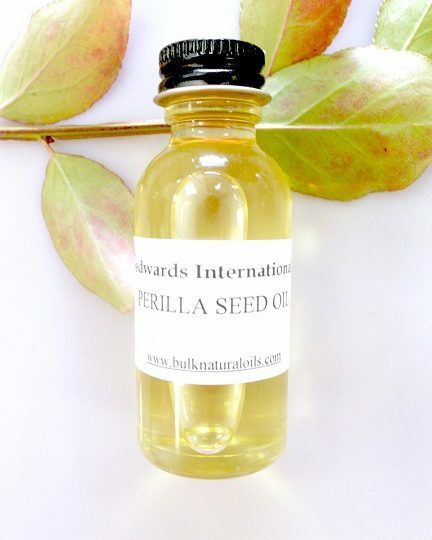 Perilla Seed Oil is a powerful seed oil. It is native to India and China and typically harvested at the end of September, early October. Today, Perilla oil is used along with synthetic resins in the production of varnishes. It dries faster than flax seed oil and forms a harder film as it dries. Aside from paint and varnish, it is also a common component in inks and linoleum. Perilla Seed Oil is quickly emerging as a compelling ingredient in the food supplement and cosmetics industries. While always popular as cooking oil in Asia, increasing knowledge of the value of fatty acids has made it popular all over the world. It has the highest ratio of Omega-3 to Omega-6 of any seed oil, including flax and chia seed oils. It is a great vegetarian source of polyunsaturated fatty acids, with a relatively mild, nondescript flavor. 50-60% of Perilla Seed Oil consists of the Omega-3 alpha-linolenic acid! Classified under the botanical name Salvia hispanica, Chia Seed Oil is actually a species of the mint family, and is native to Mexico and Guatemala. Derived from the ‘superfood’ chia seeds, the oil can be up to 55% omega-3. It has been a valued food source as far back as the Aztecs, and has recently grown in popularity as a food in the US—though many Americans’ first exposure was their beloved chia pets! It is very stable and is a popular addition to vegetarian diets. Consider adding Perilla Seed and Chia Seed Oils to your options for Omega-3 powerhouses!